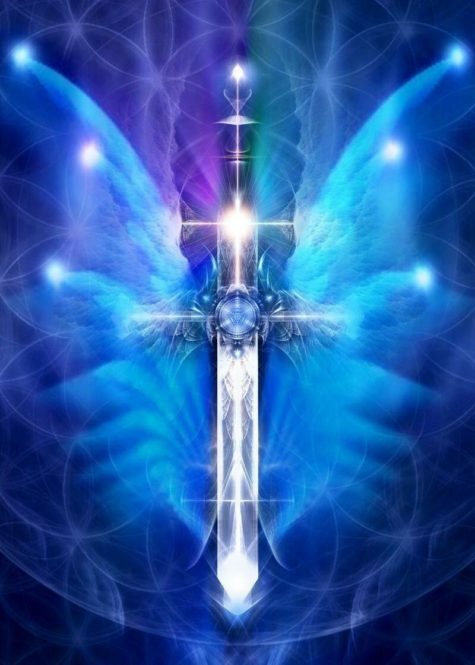 Michael the Archangel’s flaming sword illuminates dreams and provides safety as you linger in dreamland. This dream oracle affirms whether a spiritual petition or request is appropriate or not. This spell is based on surviving remnants of Alexandria’s Magical Papyri. The request for the dream is made using a magic lamp. This spell doesn’t assume that you have a special ritual lamp. 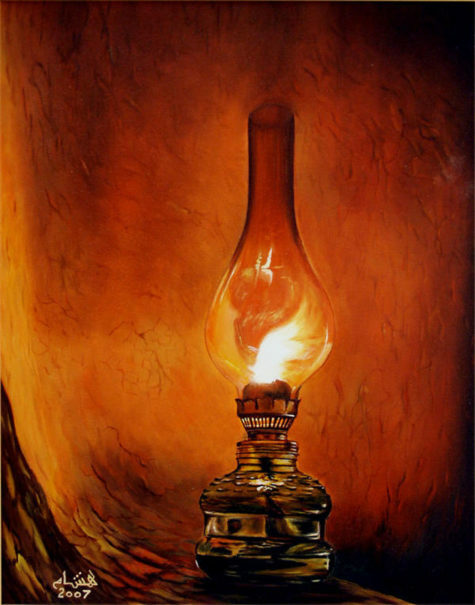 Oil lamps were once common household articles, like a table lamp is today: it wan’t a big deal back then for a spell to suggest using one, any more than a modern spell’s request for a spoonful of salt is an inconvenience. An everyday oil lamp may be used, or you can dedicate and charge a special lamp just for spell casting. Cleanse and purify yourself thoroughly using whatever methods you prefer. Speak to the lamplight, (using the incantation below) observing it, reacting to it until it burns out. If not, show me water and a stone. Be silent, go to sleep, and dream. NOTE: The symbols of “water and grave” and “water and stone” were used at the dawning of the Common Era. Use them if you like or select others that suit you better; just announce explicitly the identities of the symbols. Use this invocation to ask the archangel of Venus, Anael, to bless and bring harmony to a romantic relationship. Light a candle at Anael’s hour (between 9 and 10am) and burn some rose incense. Scatter a few pink rose petals on your altar, and then say the invocation. and the blessing of your wisdom and loveliness. as I rise in thought and in spirit to reach your exalted realms. which you enclose me as in an aura. It is as if we come together to meet in a temple of the rose. and that I may receive the benison of your assistance. in body, mind, soul and spirit. to overcome all resentment and disharmony. and transcend all earthly barriers and limitations. so that it may be healed and be whole. Finding an angel is not too hard. 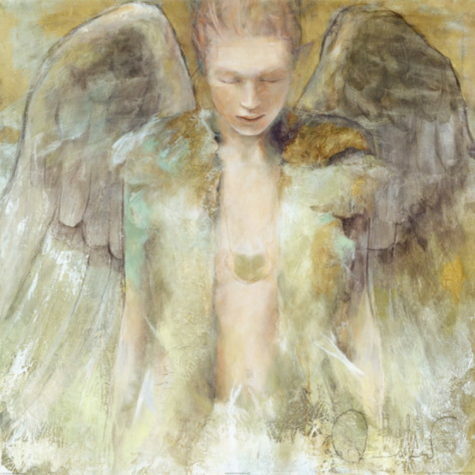 There is only one requirement – you can’t be kidding around when you call an angel. First, I’d like you to sit back and think seriously about why you want to contact the angelic realms. Be honest with yourself. Is there something you want to improve within yourself or your lifestyle, or is there a rough spot in your life that you would like to smooth out? Are you merely curious? WANTED: Angel from the celestial realms. Seeking an angel who can help me improve my self-image. Need one who can get through my stubborn streak. SEEKING: Angel who is willing to help me with my money problems. 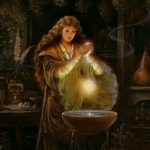 Seeking loving assistance to help me create peace and prosperity in my life. 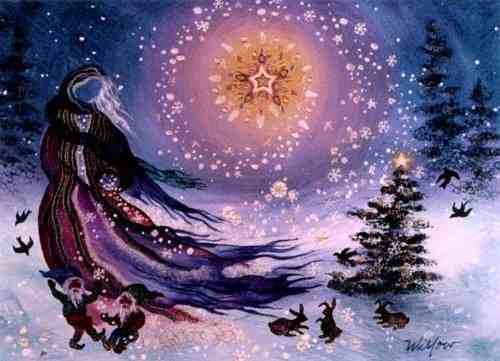 Bright blessings I extend to all. I circle round and call the forth. Send me aid from the realms above. When you are finished, tuck the card in a pocket or pin it someplace on your clothing where no one can see it. 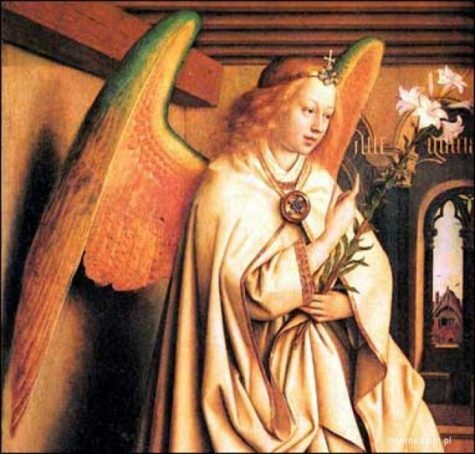 Don’t announce to everyone you know that you’ve just placed a want ad for an angel. We don’t want anyone’s negative thoughts interfering with your project. After help has arrived and you feel the need to share the information with someone who can use it, then by all means do so. If you have friends or family you know will scoff at you, don’t bother. An old magickal adage is: “Teach not the mysteries to fools.” Others will find their way on their own time without using you as a stepping stone. Don’t expect your angel to appear to you with trumpets of glory and lights of gold and silver. Angels are often subtle in their work. You may receive a job offer from an unexpected source. A friend may call to pull you out of your doldrums. You may pick up a book and find the answer you were looking for there. When angels are around, there is no such thing as coincidence. It is your job to heighten your sensitivity. If you open your mental eyes, you will see angels everywhere. One of my favorite things to do is to plan an “angel day.” It doesn’t cost any money, and I’m never disappointed in what I find or the experiences I have. You can choose to spend a day with nature (pack a picnic lunch), visit friends, or go to a busy shopping mall. It doesn’t matter. Before you start out, say to yourself, “I’m going to have an angel day today. That means I’m open to whatever the universe has to show me about angels, and how I can help others.” then off you go. Keep in mind that every occurrence and everyone you meet is orchestrated by the angels to educate or entertain you. You are on an adventure, a treasure hunt. Be nice to every person you meet. Look people straight in the eyes if they speak to you. Pay attention and listen to what is happening around you. If you are a “shopper,” might yourself that you will only look for angel things today. You will find that you spend less money and ferret out items you’ve really been looking for, not the junk you usually collect through impulse buying. You might ask the angels to help guide you to the right store, or library, if you are looking for a particular book or reference material. When you return home, jot down the significant events of your day. Spend time meditating and clearing out your body. 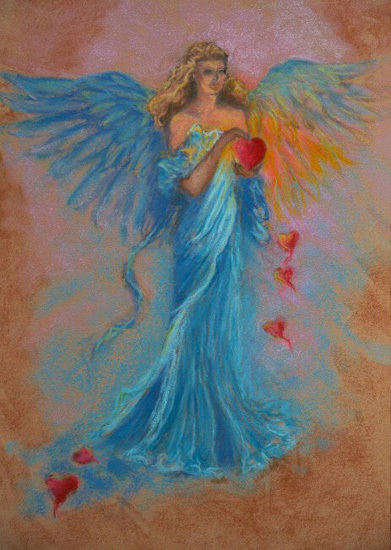 During meditation, envision your angel as a tour guide to help you work out any unanswered questions about your experiences. 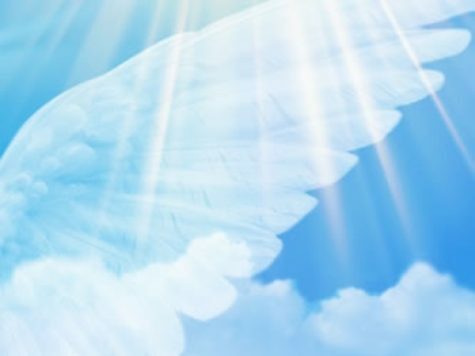 In essence, there are many ways you can have an “angel day.” You can begin every day as an “angel day.” You just might be surprised by how much more in tune with the universe you will be, and it is a great feeling to have with you every single day. O you glorious and benevolent angels,Urzla, Zlar, Larzod, Arzal, who are the four angels of the East, I invocate you, adjure and call you forth to visible apparition in and through the great prevalent and divine name of the Most Holy God Erzla, and by the ineffable and efficacious virtues and power thereof, whereby you are governed and called forth, it being therefore absolutely necessary, pre-ordained, appointed and decreed. Now therefore do I most earnestly entreat and powerfully adjure you, O you benign angels Urzla, Zlar, Larzod, Arzal, in this potent name of your God Erzla to move and appear visibly, and show yourself to me in this crystal stone (or mirror) here before me. And in and through the same, to transmit your ray to my sight and your voice to my ears that I may audibly hear you and plainly see you and include me in your mysteries wherefore I do most earnestly adjure you, O benevolent and amicable angels, Azla, in the most excellent name of your God, Erzla, and I as a servant of the highest do efficaciously invoke you to appear now perfectly visible to me, O you servants of mercy, come and show yourselves firmly unto me and let me partake of the secret wisdom of your creator. 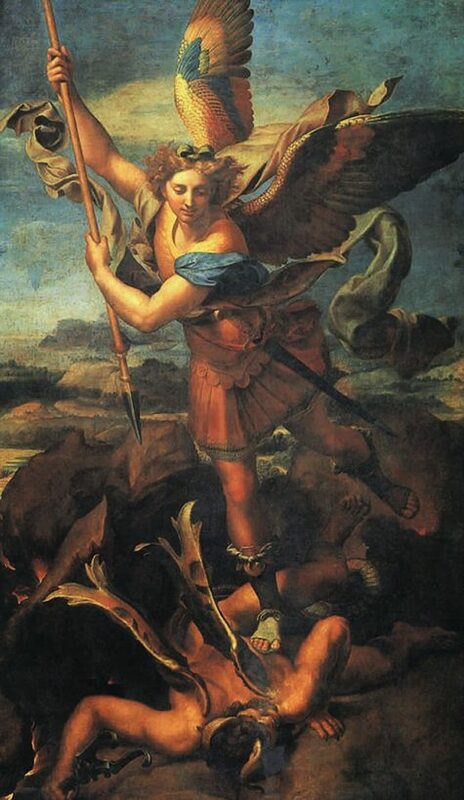 If there’s one presence you’d want to have on your side in the courtroom, in a dark alley, or at any time you feel threatened, it’s the Archangel Michael. Michael’s celestial mission is to be humanity’s defender. He epitomizes justice. You can request that he come to your assistance. Michael with your flaming sward of cobalt blue, protect me today! Put the candles on the plate and spread sugar all around them. Light the candles. Call for assistance from these three angels. Rafael, Michael, and Gabriel. Ask that three wishes be granted. A wish for business or money. Place the plate with the burning candles on your altar, next to a window, or on a high shelf. 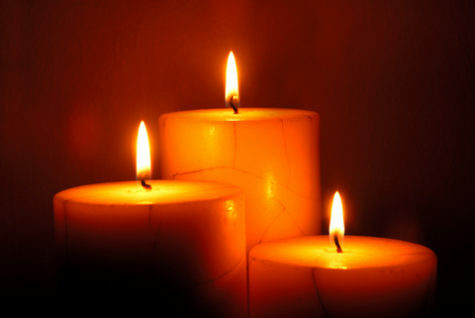 Allow the candles to burn completely. 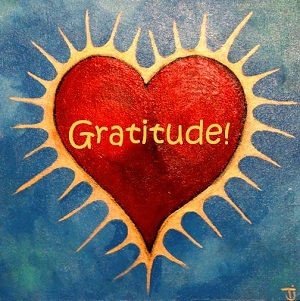 Publish this spell on the 3rd day after you requested the wishes by mailing it to another person, posting it to a Internet news group or announcing your thanks to the saints in a newspaper classified ad. See what happens on the 4th day. 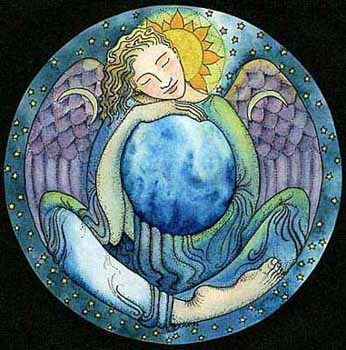 Today is a full moon – a perfect night for some Angel magic. State your intention, and follow it up with each of the Angels listed below, and a simple affirmation of power. For example (I love my life. Ariel begins it. So shall it be!) Repeat until each angelic power has been invoked. This is a very powerful chanting invocation, you will feel the energy build as you do the spell. Seal in the air with the sign of the equal-armed cross using your dominant hand.